Get the perfect view when you're wearing the Oakley Flight Deck Snow Goggles, thanks to the rimless design that eliminates blind spots to give you the widest field of view possible. That rimless design also allows for easy lens swaps, though the included Prizm™ lens provides protection during bright days and enhances contrast on cloudy days, so you might not be needing too many lens swaps. Notches in the frame allow compatibility with prescription eyewear, and articulating outriggers provide a perfect fit with or without a helmet. "which are considered the best ski goggles"
"Goggles are important for protecting your eyes from the sun and snow glare. At high altitude UV rays are stronger and the sun’s reflection off the snow is much brighter. Ski goggles also provide protection from blowing, falling snow and wind. Please CLICK HERE to view a comparison of our most recommended goggles. Hope this information helps!" "Looking at the Oakley FLight Deck Goggles. IS it posisble to get the Large fit with the Prizm Jade Iridium lens or can you only get the large fit with the prize torch lens? Thanks"
"Thank you for contacting us. 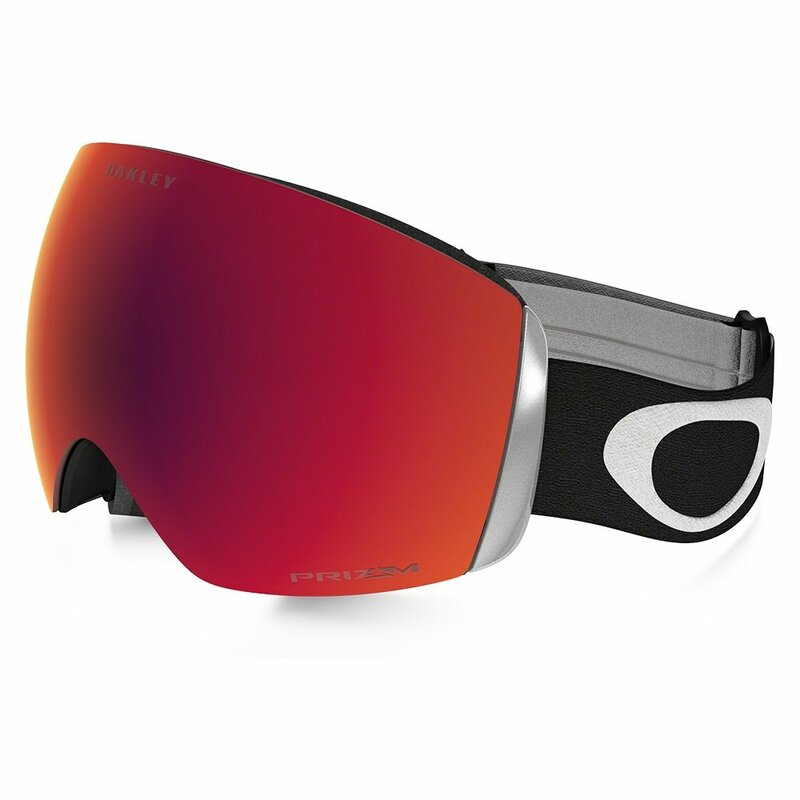 Oakley FLight Deck Goggles includes the Prizm torch lens only. We hope this information helps!"